Healing Herbs Bunches And Hessian Bags With Dried Marigold, Clover.. Stock Photo, Picture And Royalty Free Image. Image 42481376. 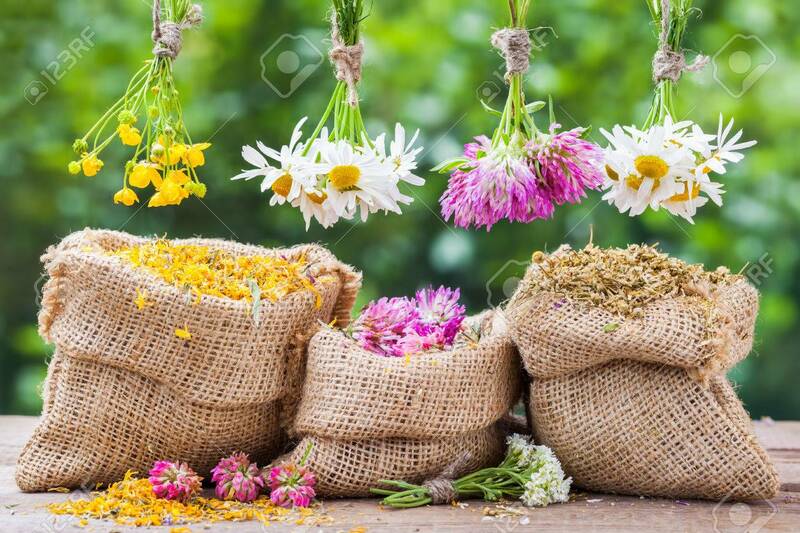 Stock Photo - Healing herbs bunches and hessian bags with dried marigold, clover and chamomile on old wooden table. Herbal medicine. Healing herbs bunches and hessian bags with dried marigold, clover and chamomile on old wooden table. Herbal medicine.